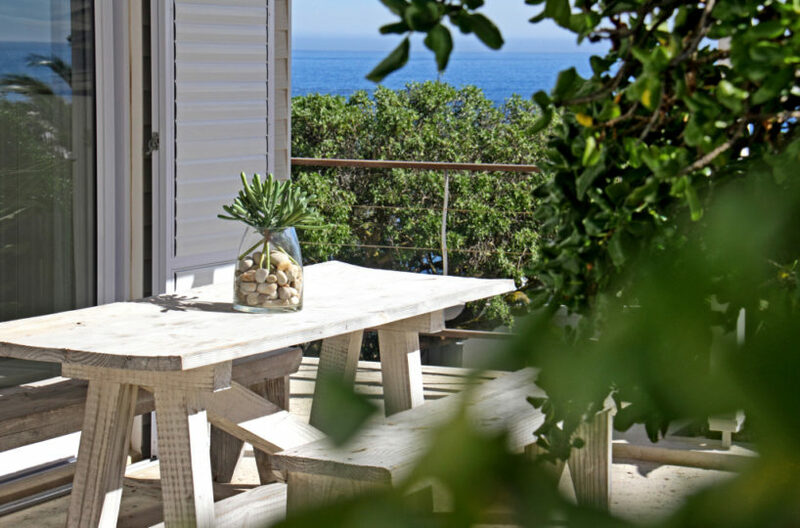 Enjoy unforgettable views of the Atlantic and listen to the sound of waves breaking over the rocks from Bakoven Views, set in a quiet cul de sac of charming seaside bungalows just one row back from the water’s edge. 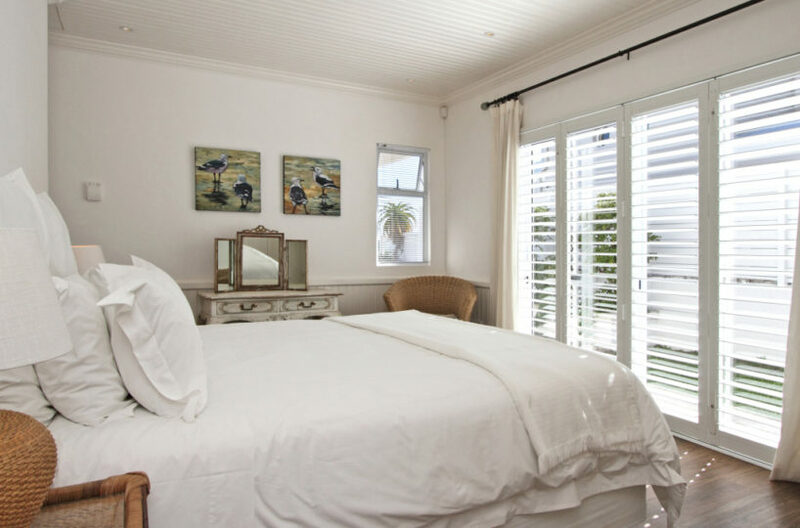 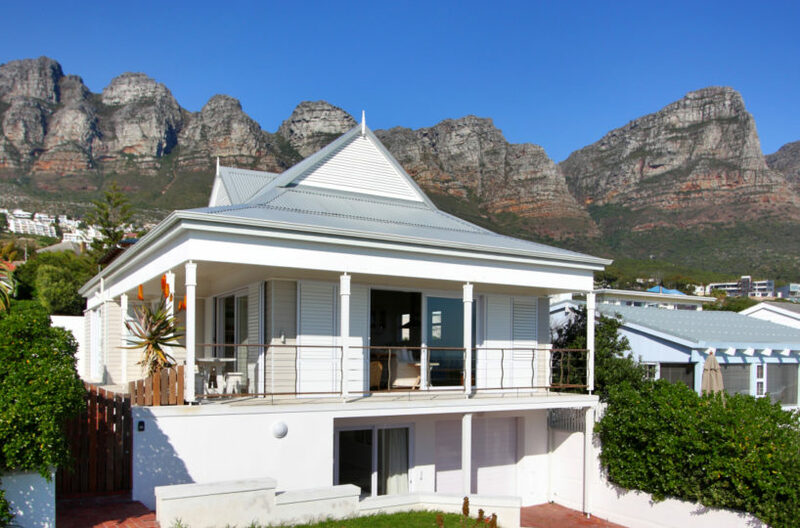 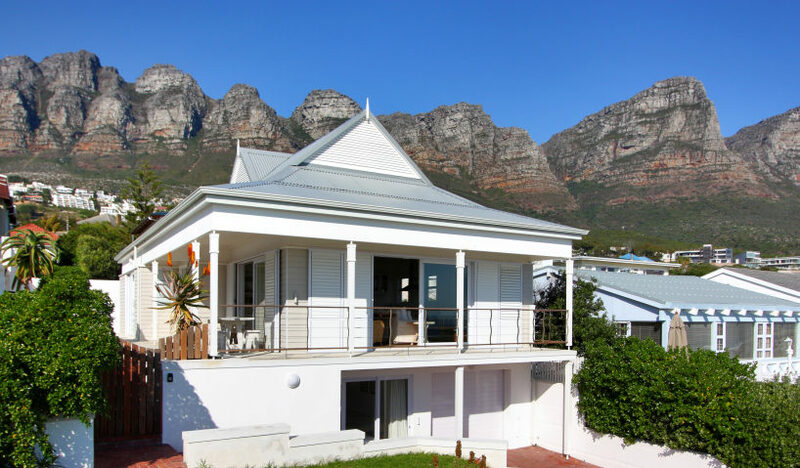 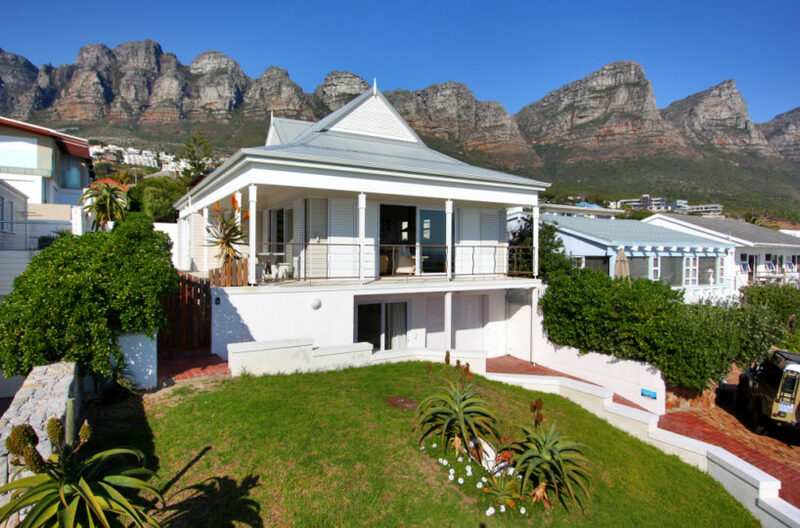 Bakoven Views was originally a fisherman’s cottage and today the small beach and rocky coast line near the house is a protected area that does not allow for commercial fishing, however guests can still enjoy the fresh ocean air, beautiful sea views and gorgeous Cape Town sunsets. 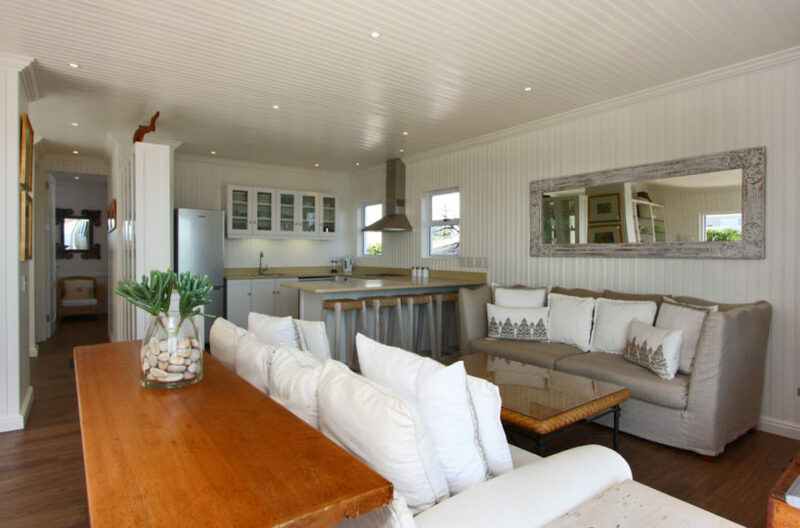 Entering the property one is struck by the relaxed, fresh and comfortable feel of the bungalow, then as you open up the front and side glass doors the bungalow is filled with the sounds and smells of the ocean. 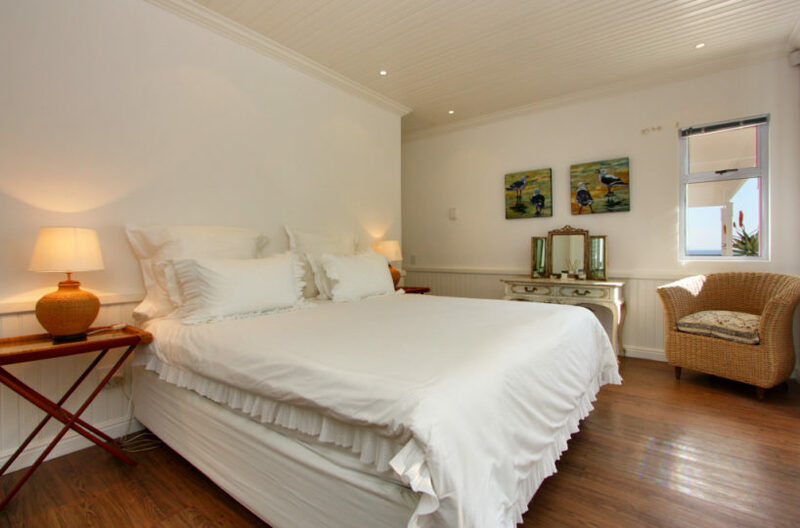 The open plan living area and the 2 main bedrooms are on the upper level and the 3rd bedroom is on the lower level. 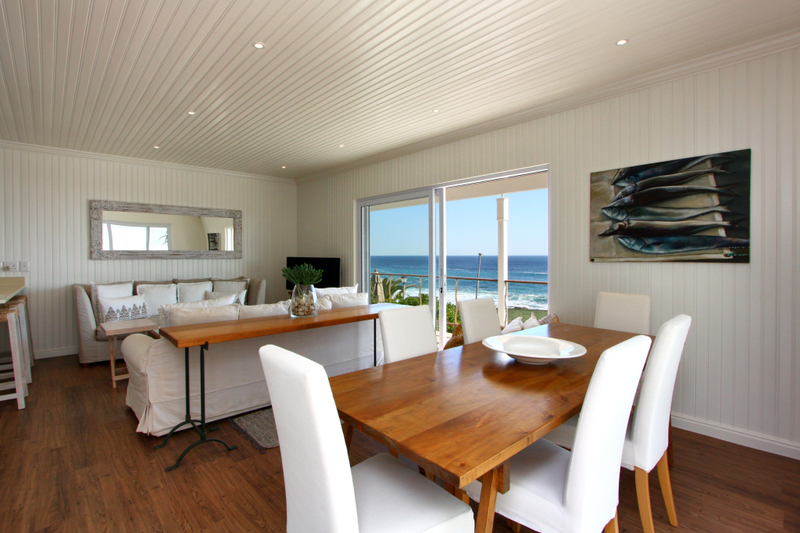 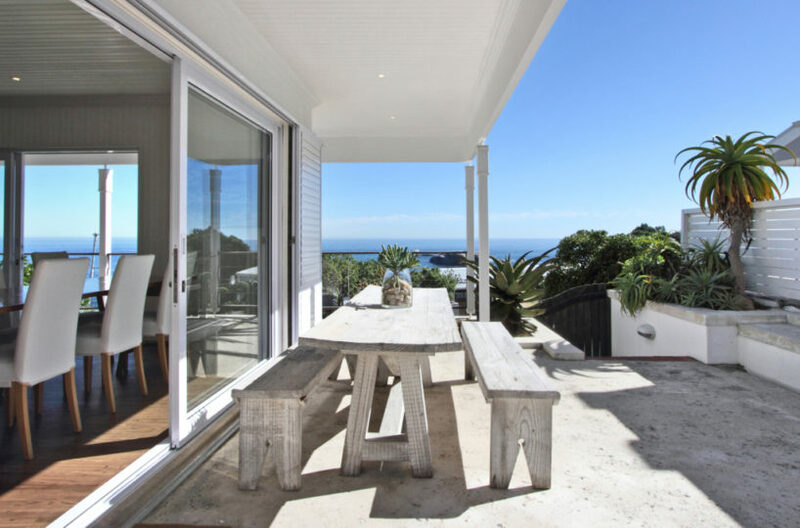 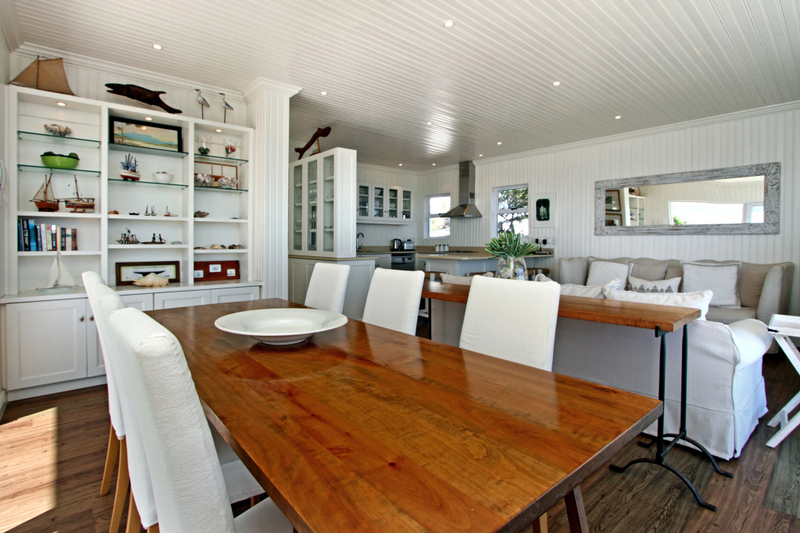 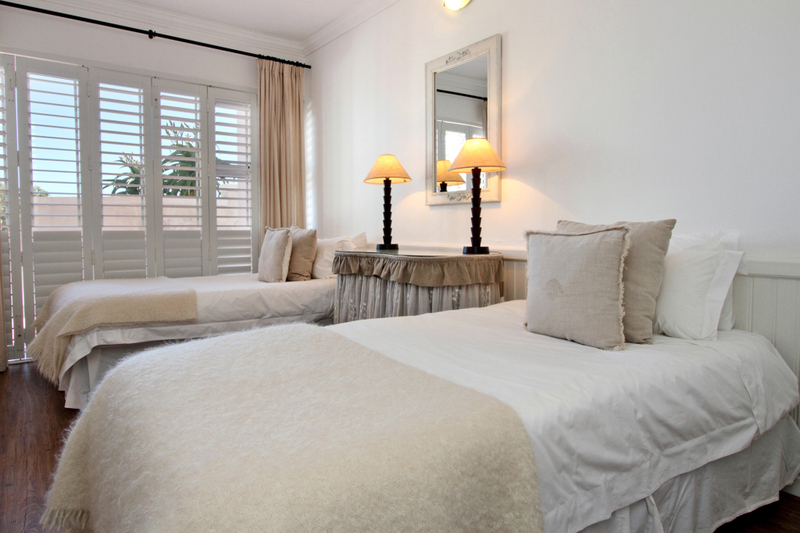 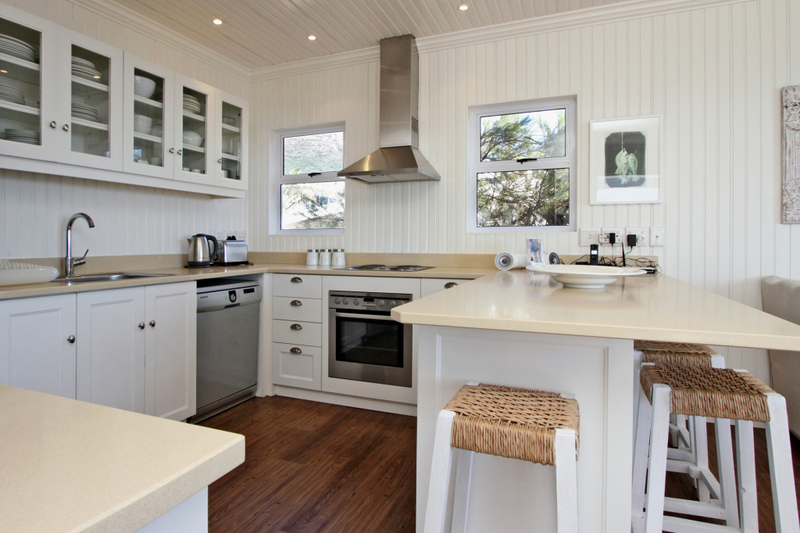 Bakoven Views is perfect for a couple or small family wanting a quiet, relaxed beach holiday whilst having the more lively beach life and buzzing restaurants of Camps Bay an easy walk away.